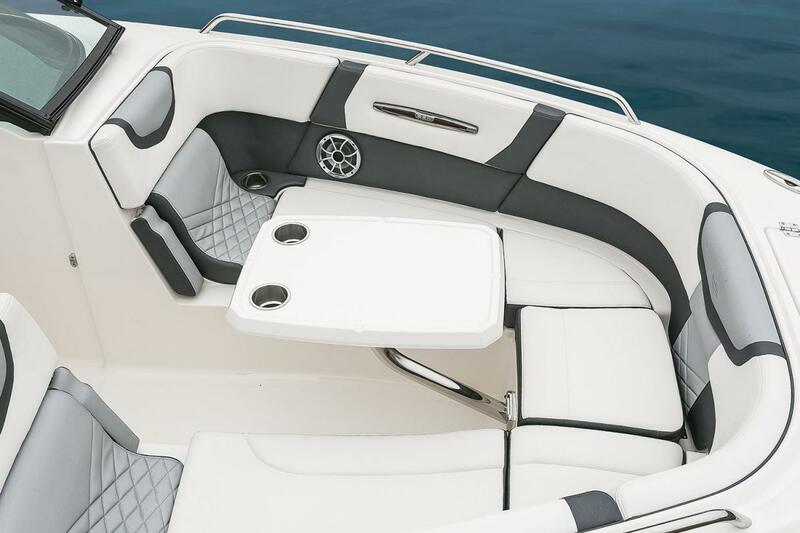 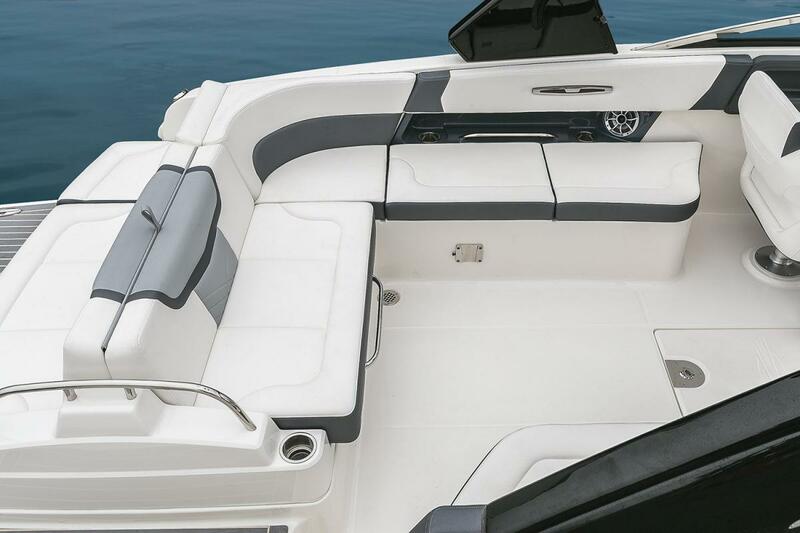 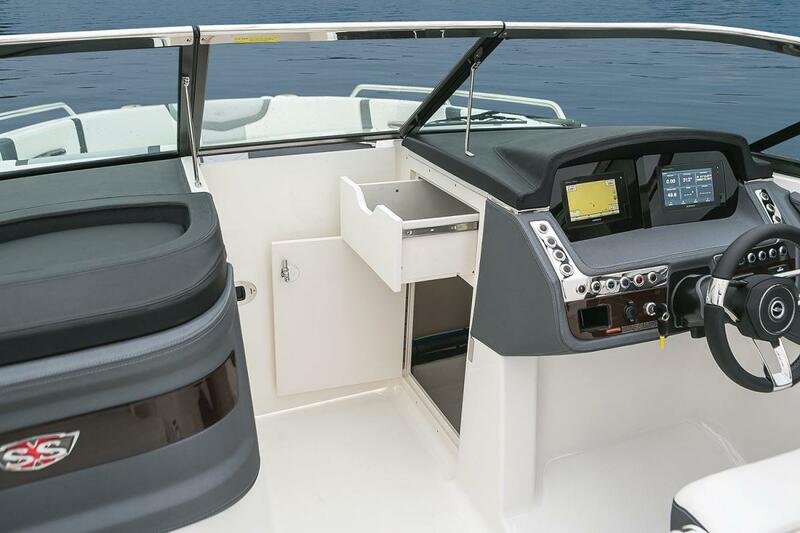 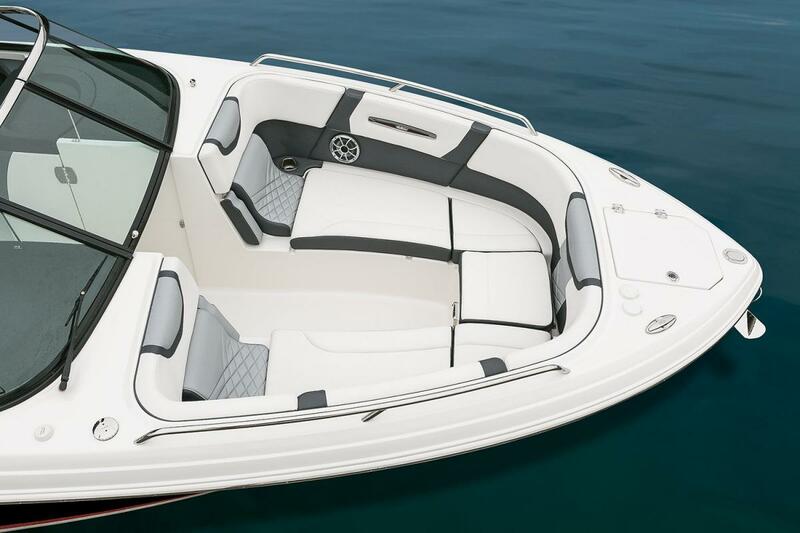 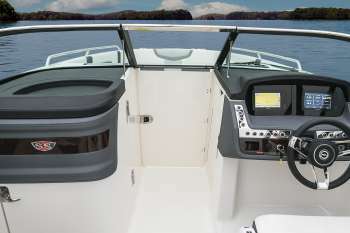 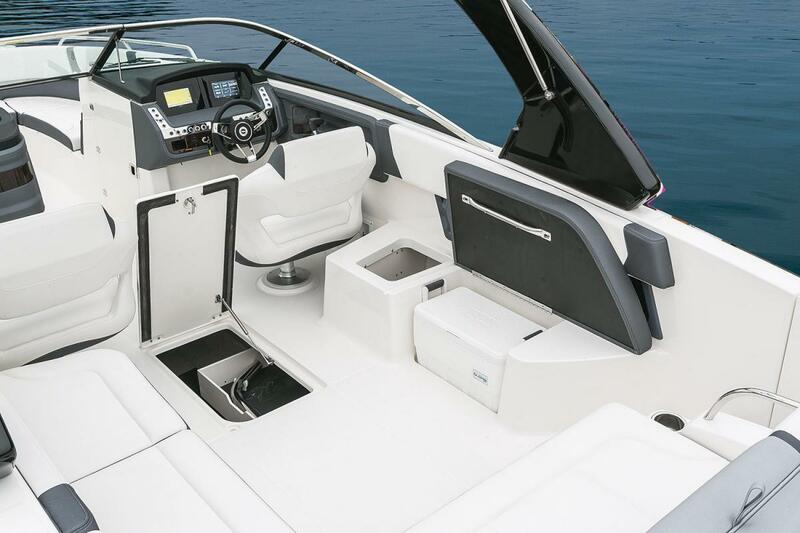 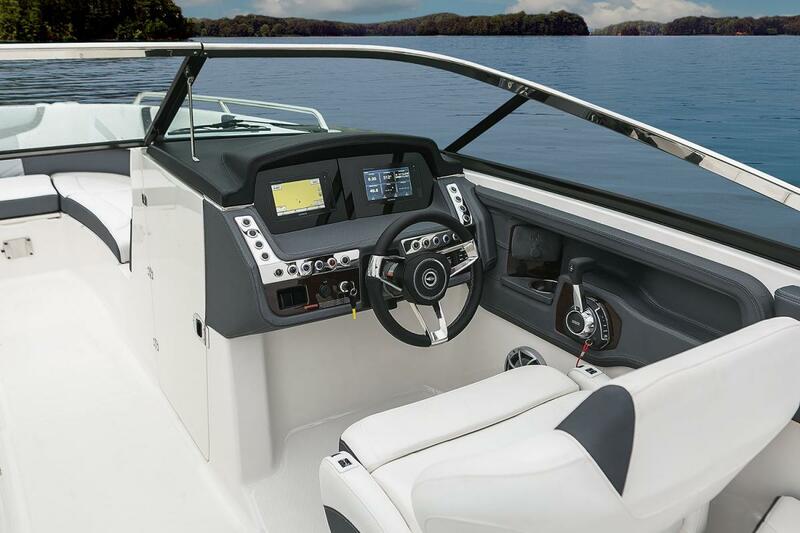 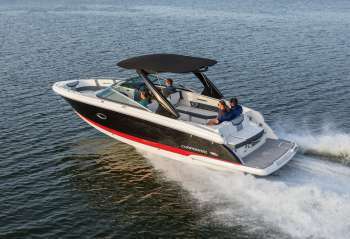 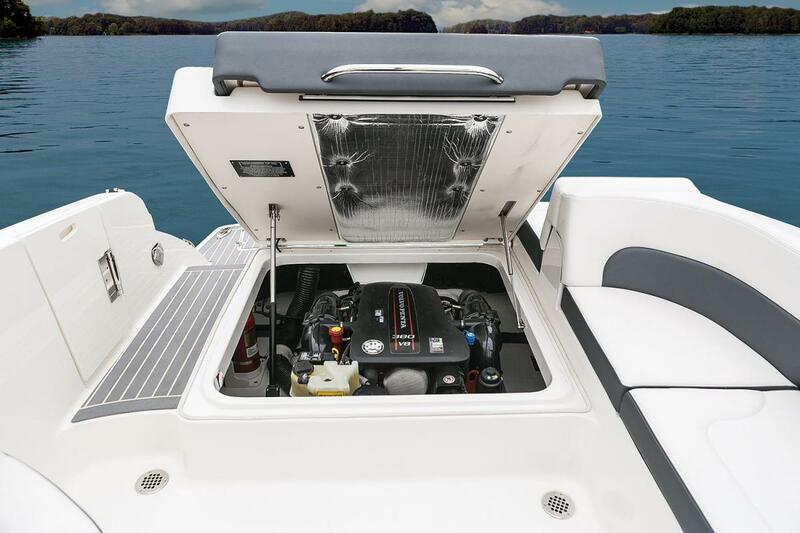 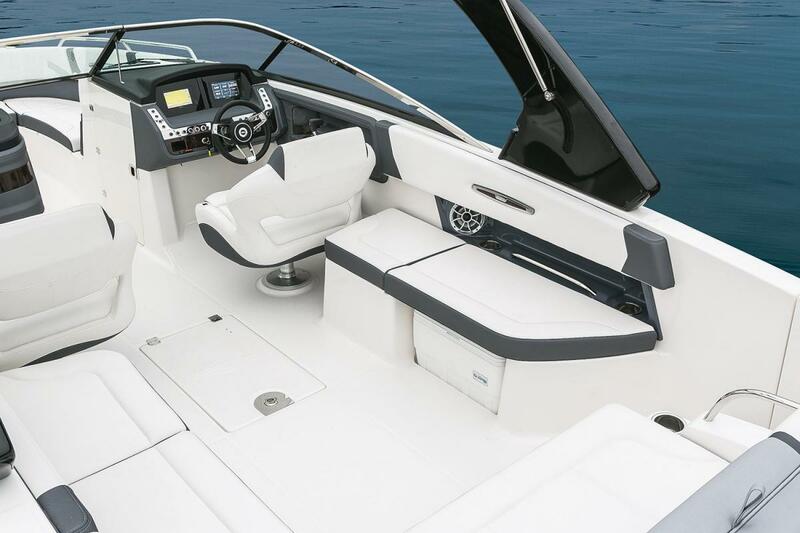 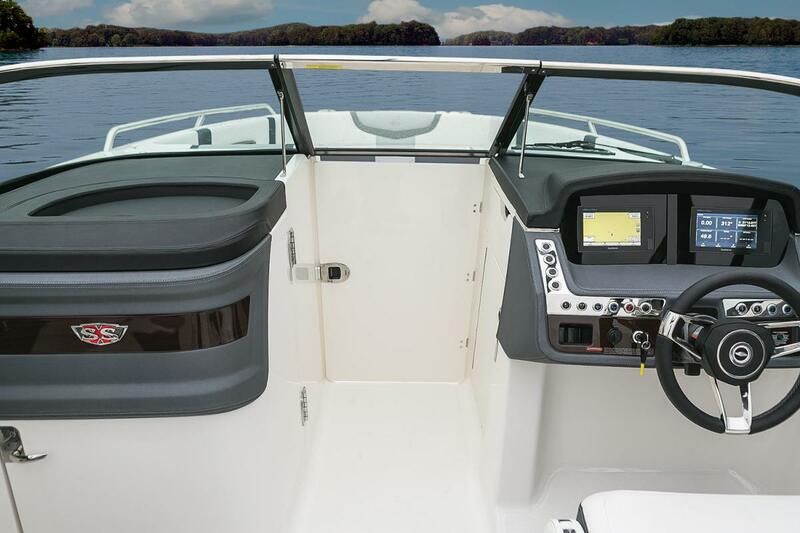 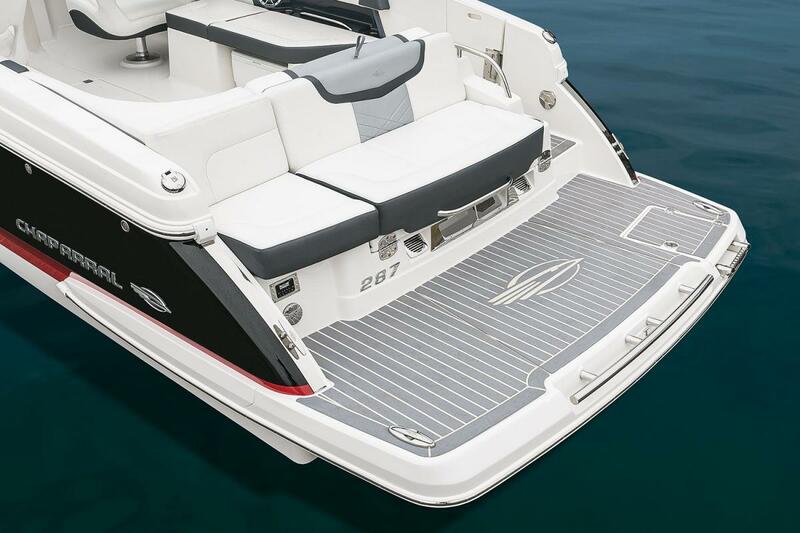 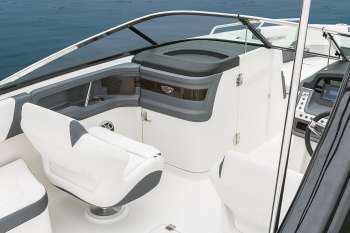 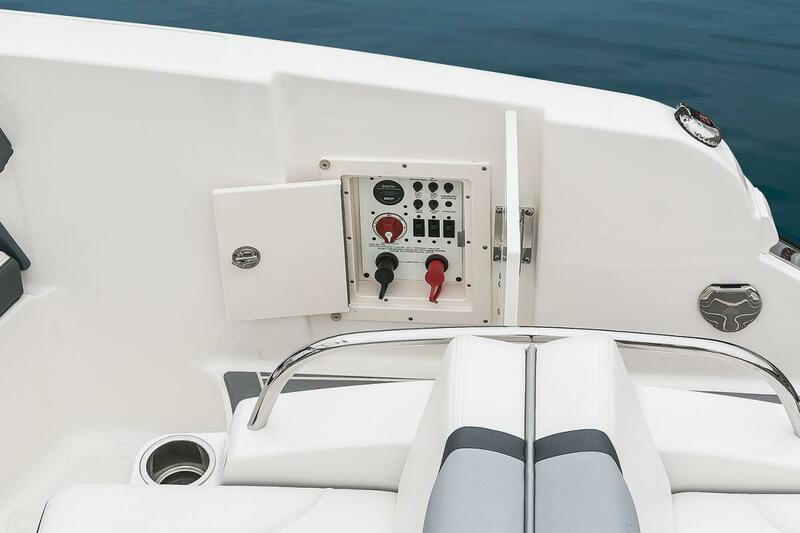 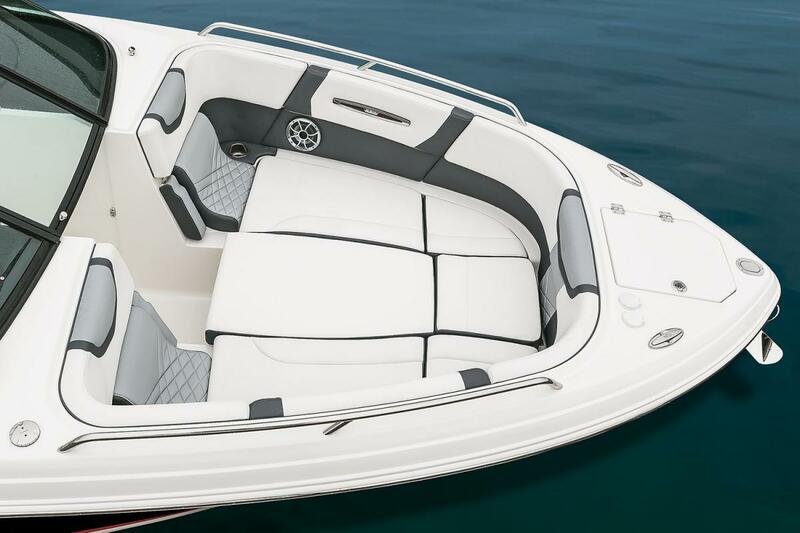 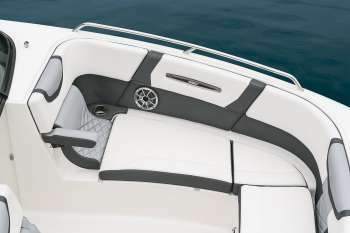 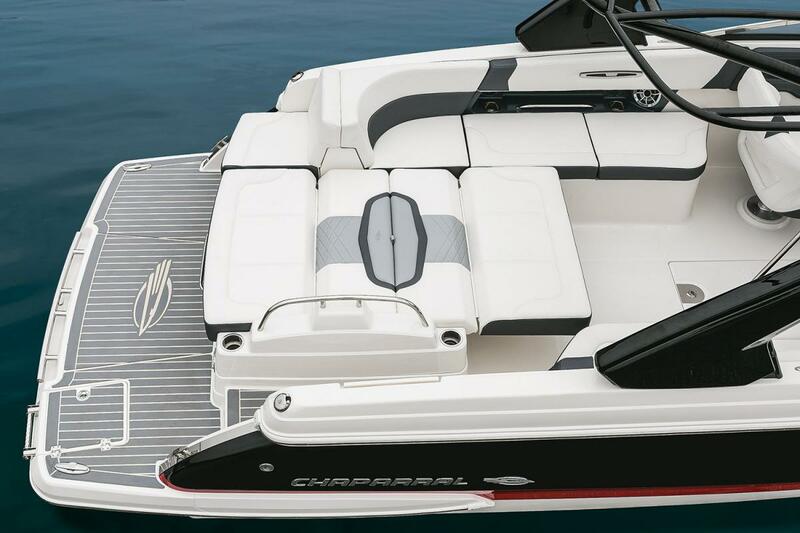 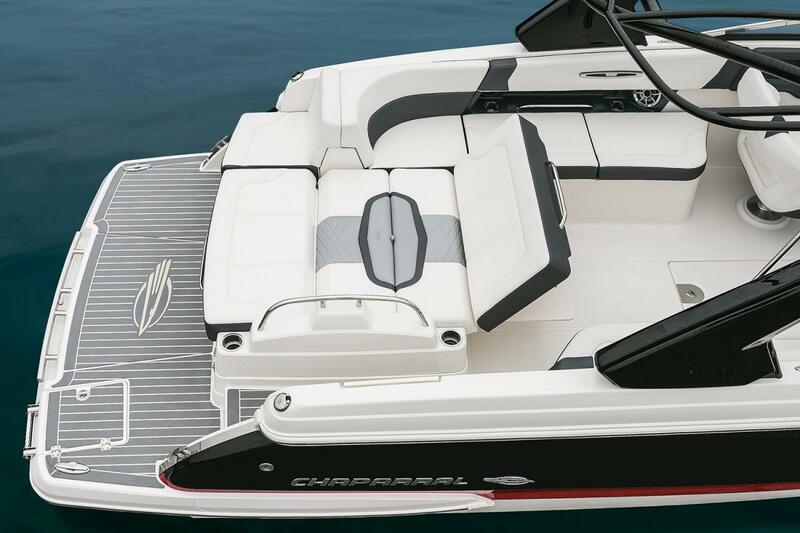 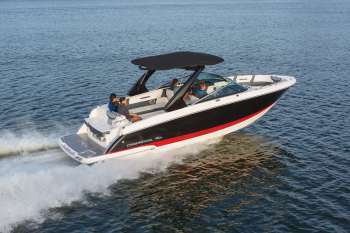 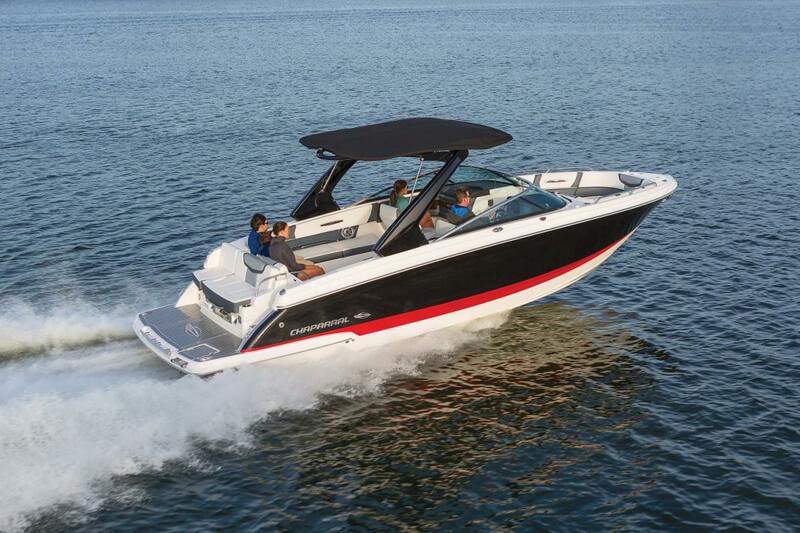 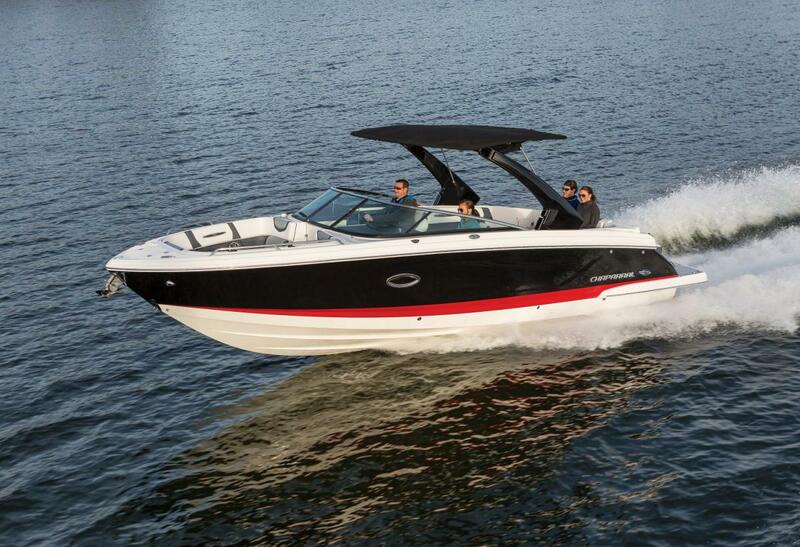 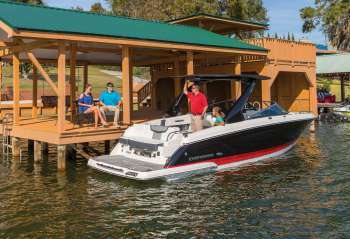 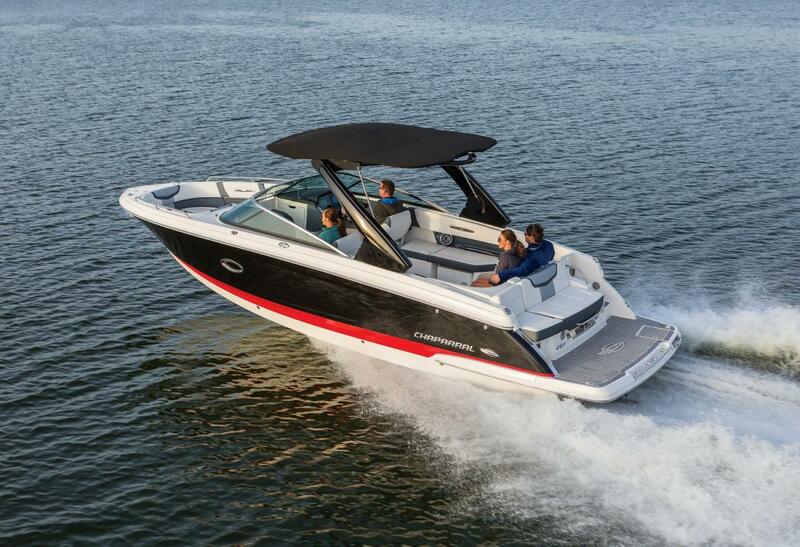 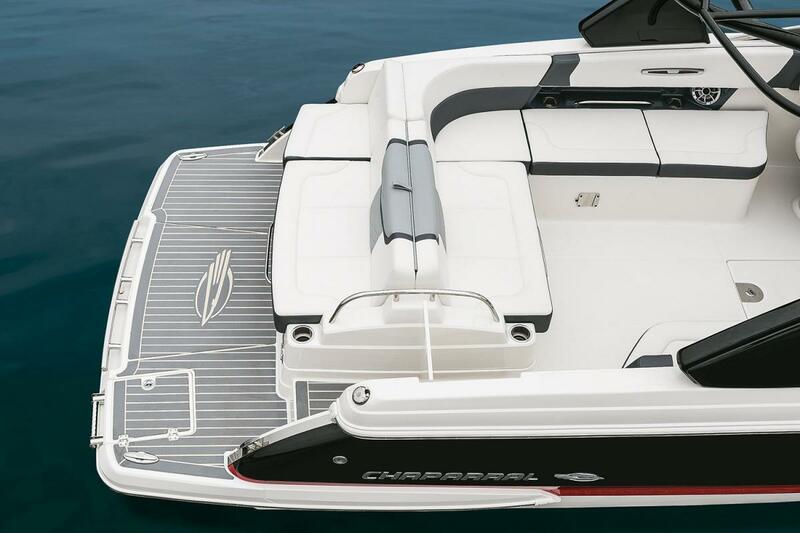 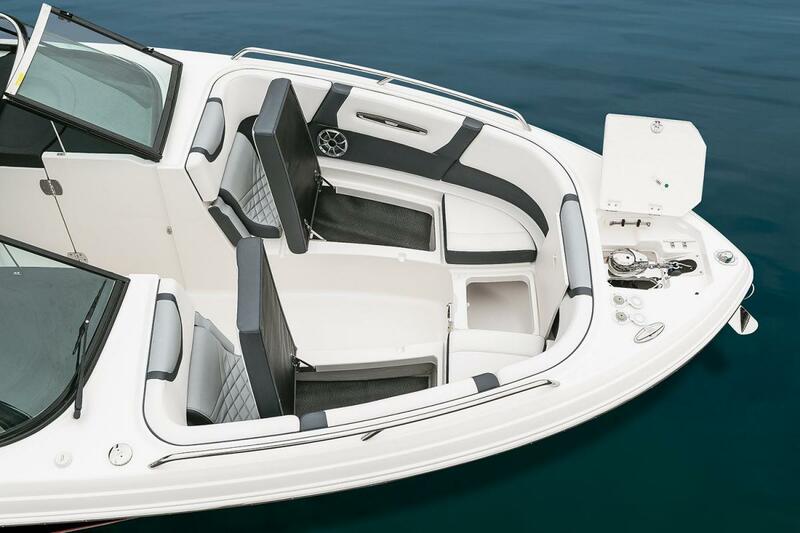 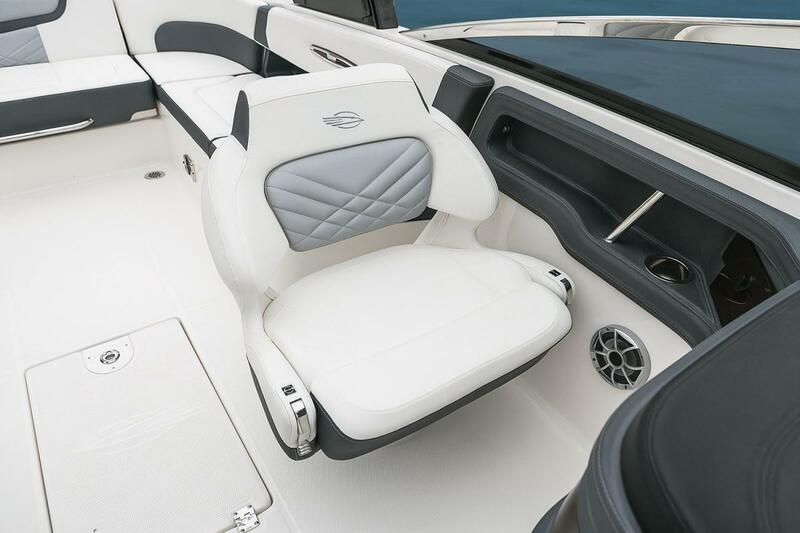 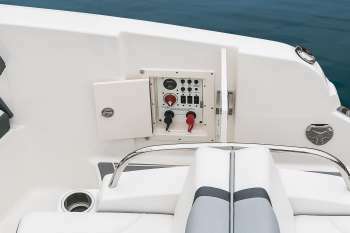 All new for 2019, Chaparral is re-writing the rules on boating. 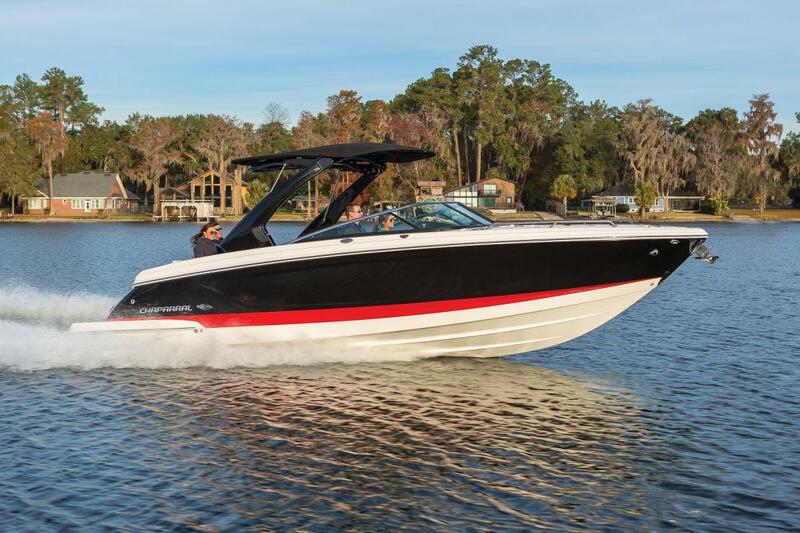 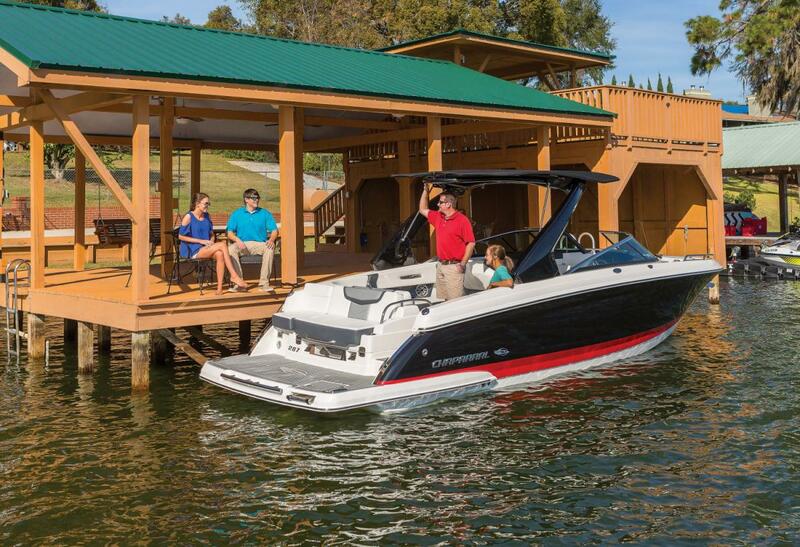 The 297 SSX is a trendsetter in design, performance, and function. 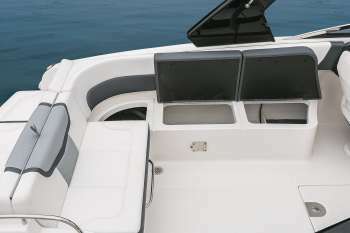 The helm features an all new glass dash with dual touch screen displays. 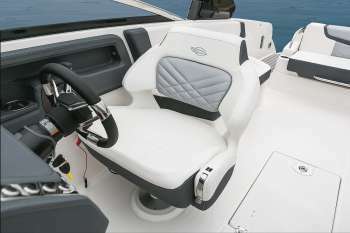 The cockpit is open, spacious and features a multi-position sun lounger aft. 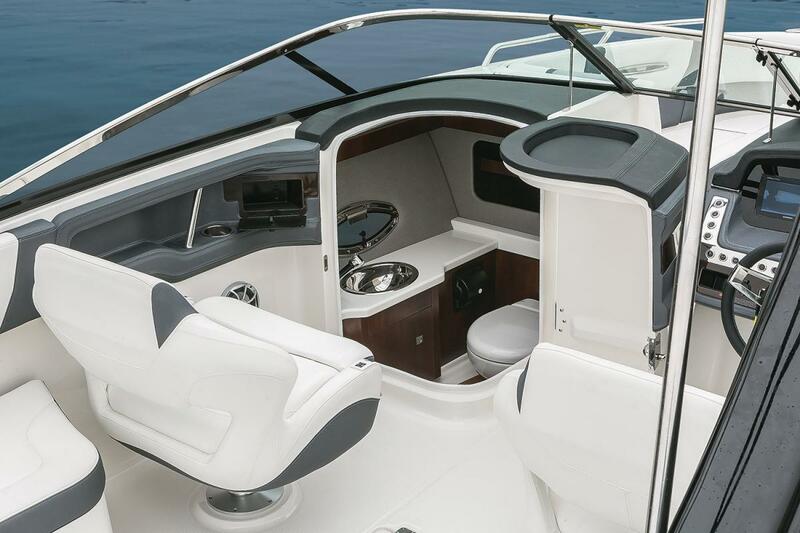 The open concept design carries forward into the bow area which features hinged storage beneath luxuriously appointed upholstery. Chaparral went to great lengths to create a powerful and agile craft that glides through the water with minimal noise.